Thanks to the ‘Farm to Glass’ classroom, New York State farmers and brewers now have access to in-depth training for producing and malting home-grown grains. A hundred and fifty years ago, New York State was producing 90% of the country’s hops. Just about every farm had two or three acres of hops planted, drying the grain in “hop houses” which likewise were a standard feature on the New York farm. But one price collapse, two blights, and a bout with Prohibition later, the state’s hops industry had disappeared almost entirely. Fast forward to 2012, when Governor Andrew Cuomo passed the Farm Brewery Law and created an incentive for New York breweries to buy their hops and malt grains locally. Breweries that buy 20% of their hops and other ingredients from within the state are eligible for a farm brewery license, in addition to multiple tax breaks and other benefits. The workshop series, dubbed the ‘Farm to Glass Classroom,’ launched in February 2013 with a farm-brewery workshop on New York State barley. “That one was just a real can of worms,” laughed Sarah. One hundred people turned up, and they spent the day discussing barley growing, barley processing, and the general potential of barley as a New York crop. 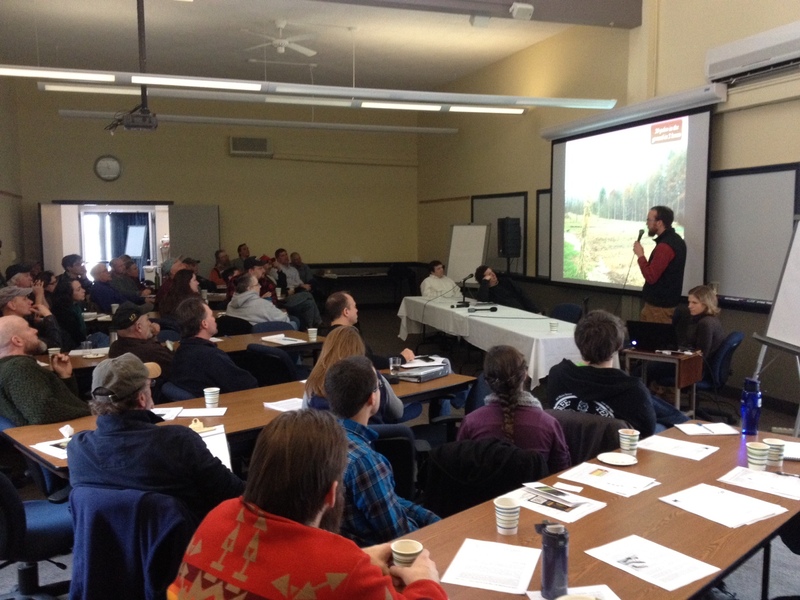 After the success of the first meeting, the Carey Institute went on to hold seven more workshops, discussions, and networking sessions for New York farmers interested in growing hops and malting grains and for brewers interested in turning them into local beer. And they are not stopping there: with the help of a one year On-Farm Research / Partnership SARE grant, the institute will continue to fund the large amount of research that goes into preparing the workshops, and the outreach conducted both before and after the events. The Carey Institute also tries to bring in more on-the-ground specialists: a processor such as a malt house operator, an experienced farmer, and a beginning farmer typically join the panel. The experienced farmer shares his/her many experiences with growing hops or malting grains, and discusses any tricks of the trade that he has learned along the way. But the beginning farmer can be just as instructive. The panels are always informative, but the Carey Institute is careful to ensure that the attendees also get to actually connect with each other. After the first hour or so of panelist presentations, everyone takes a 45 minute networking break to “mix and mingle and exchange business cards.” The audiences tend to be a diverse mix of farmers, brewers, investors and beer enthusiasts, so the networking sessions are an important time for these different groups to meet each other and, perhaps, to start discussing business deals. 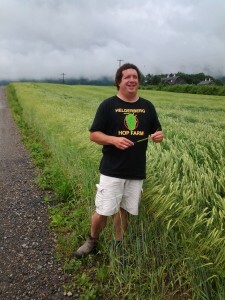 The Farm to Glass Classroom essentially has two objectives: to increase New York farmers’ knowledge about growing and processing hops and malt grains, and to increase the amount of hops and malt grains being grown in New York State. This means that the Carey Institute needs not only the workshops designed to further these goals, but also some way to know if the goals have actually been met. They created surveys for workshop attendees to take before the workshop, after the workshop, and six months after the workshop. “That way we can see whether or not they took the information and went home and planted some barley,” says Sarah. And for the most part, workshop attendees are going home and planting some barley, or hops, or other malting grain. The surveys have shown the workshops to be very successful in giving people the information they need to start growing these crops; and once the know-how was there, an increase in actual hops and barley acreage followed close behind. Potential hops and malting grain growers who don’t live a stone’s throw from Rennselaerville can still access the Farm to Glass workshops online. Every workshop is videotaped and full videos are made available at most two weeks later, when they are posted on the Carey Institute’s “Brewshed Blog” and YouTube channel. Sarah says they don’t know exactly how many acres of hops and barley were planted due to the Farm to Glass Classroom in particular but in New York as a whole, barley acreage has tripled since the Farm Brewery bill was passed two years ago—from 500 acres to 1500 acres. “However, malting barley still accounts for less than 1% of all the grain grown in NYS,” Sarah admits. There is still a long way to go. To complement the Farm to Glass workshops, which are directed primarily toward the grower, the Carey Institute also has a “Farm Brewery Incubator” in the works, directed toward brewers and focusing on brewing beer with New York grown ingredients. The incubator will act in part as a research brewery, both to find ways to increase energy efficiency and to develop flavor profiles for New York ingredients which brewers can use during their recipe making. The incubator’s other major project will be a mentorship program: beginning brewers will have the chance to learn under a more experienced brewer so that they can pick up practices that work best without having to go through the messy trial and error process. “It’s really a pilot system,” says Sarah. Combine that pilot system with the Farm to Glass Classroom workshops, and New York might soon find itself heading back to the days of beer made from local ingredients and a hop house on every farm. Sarah Nechamen is an undergraduate Plant Science major at Cornell and a student intern for the Small Farms Program. She can be reached at sdn27@cornell.edu. I recently purchased 15 acres of land in upstate NY to open a small brewery restaurant with the intention of growing my own hops and grain to brew beer as my grandfather did when he first came to NY over 90 years ago. I am very interested in finding out more information on this topic. You can find more info on the Carey Institute’s brewery initiatives at http://careyinstitute.org/helderberg-brewshed/, including pages on the Farm-to-Glass classroom, the Farm-Brewery incubator, and the Brewshed Producer’s Association. I hAve approximately 20 acres I would like to grow crops in. When are the classes and how much do they cost? You can visit the website for the Carey Institute and see upcoming workshops here. It doesn’t look like there are any in the near future, but I would continue checking back on their website. Hope this helps! I have 24 acers in the Town of Lewis, New York, together with a large barn, that I would like to establish a hops farm on. Any readers interested in a joint venture?